Author: Munro-Hay, Stuart Set In . 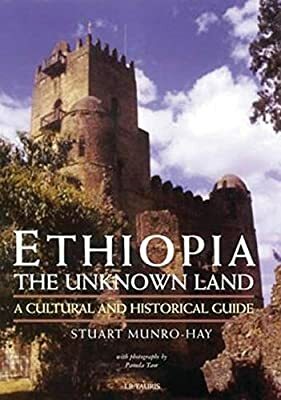 . .
A result of a lifetime’s study of the mysterious country, this book is the first truly comprehensive work on the monuments and art of Ethiopia, as well as a literary companion to its land and history. Stuart Munro-Hay provides a valuable guide to the country’s architecture, geography, peoples, art, and history which covers all the major sites of the land from ancient times to the present.